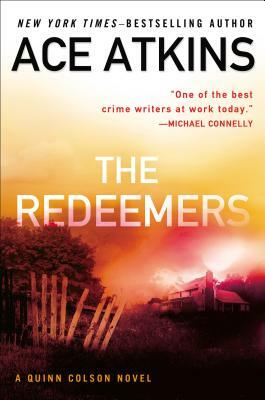 The electrifying new novel in New York Times-bestselling author Ace Atkins's acclaimed series about the real Deep South. He is only in his early thirties, but now Quinn Colson is jobless--voted out of office as sheriff of Tibbehah County, Mississippi, thanks to the machinations of county kingpin Johnny Stagg. He has offers, in bigger and better places, but before he goes, he's got one more job to do--bring down Stagg's criminal operations for good. At least that's the plan. But in the middle of the long, hot summer, a trio of criminals stage a bold, wall-smashing break-in at the home of a local lumber mill owner, making off with a million dollars in cash from his safe, which is curious, because the mill owner is wealthy--but not that wealthy. None of this has anything to do with Colson, but during the investigation, two men are killed, one of them the new sheriff. His friend, acting sheriff Lillie Virgil, and a dangerous former flame, Anna Lee Stevens, both ask him to step in, and reluctantly he does, only to discover that that safe contained more than just money--it held secrets. Secrets that could either save Colson--or destroy him once and for all. Ace Atkins is the author of seventeen books, including the Quinn Colson novels, the first two of which were nominated for the Edgar Award for Best Novel. He is also the author of the New York Times-bestselling novels in the continuation of Robert B. Parker's Spenser series. Atkins lives in Oxford, Mississippi.